What is OCD? The first thing many people think about is it’s that ‘thing’ that some people have when they keep washing their hands. Well, from my experience, this could be answered as “yes”, but it is somewhat stereotypical and one can can certainly suffer OCD without these hand-washing rituals. Even though this is a classic symptom, one may have hundreds of other obsessions and compulsions other than this which can be extremely anxiety provoking and very distressing. This is only one of thousands of possible obsessions and compulsions attached to this disorder. Some people may even have a nasty case of OCD, yet not face an intense struggle with this particular compulsive act (hand-washing) and the obsessions attached to it. Later on, I would like to give some descriptions and examples of obsessions and compulsions. As in any disorder, there are different levels of severity, and OCD can manifest itself in many, many ways. It may be one the easiest disorders for psychiatrists to actually diagnose, yet the context of OCD is extremely misunderstood (by the general public). Regardless of such misunderstandings and so-forth about this mysterious disorder, I would like to share my own personal insights into many facets of OCD as I have personally lived decades with this disorder and I hope that my insights will not only relate to others who are battling this awful disorder in their own lives, but also in the hope that people may somewhat benefit from reading this and be able to apply some strategies/ideas in their own personal lives whether it be facing the challenge of overcoming OCD or any other related problems that this disorder is so often connected or related to. OCD in its severe form is a seriously disabling and crippling disorder, but it may not necessarily remain that way for the rest of the sufferer’s life. Nevertheless, OCD is recognized as one of the most misunderstood of any mental disorders. Apparently, Sigmund Freud admitted that OCD baffled him. Throughout this site I will explain from my own perspective as a former sufferer of severe to extreme OCD (clinical diagnosis) what obsessions are, what compulsions are, the nature of this disorder, the prognosis of recovery and much, much more. I have an awareness of misunderstandings and myths about this disorder and throughout this site, it is intended that OCD can be explained from the reality of it and how it really is in the hope that others may understand OCD much better and perhaps that sufferers of this cruel disorder may find some comfort and hope that OCD can be managed. So what is it? What is OCD? 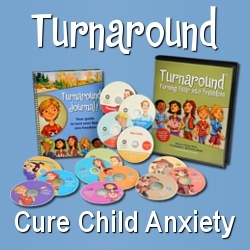 A very basic definition could be: A debilitating disease characterized by recurrent, intrusive and totally unwanted thoughts which can cause immense anxiety and/or also characterized by ritualistic and totally irrational and repetitive behaviors or mental compulsions which one feels compelled to perform (Ref. AAI). This is a very basic and general description. A more comprehensive description could be as follows: A psychiatric brain disorder (neurotic/anxiety disorder) which can manifest itself through multitudes of obsessions and compulsions causing possible extremes of anxiety. OCD is characterized by uncontrollable, intrusive, recurrent, inappropriate and totally unwanted obsessive thoughts/ideas causing possible extremes of distress (the distress as a result of obsessions/compulsions). Obsessive thoughts/ideas can often be followed by either behavioral or mental rituals performed in accordance with the attempt to minimize the distress of the obsessive thoughts/ideas. Obsessions and/or compulsions interfere (possibly highly significantly and even to a disabling point) with daily, social and work related activities. The sufferer recognizes that their thoughts do not make any sense, but do not lose touch with reality. 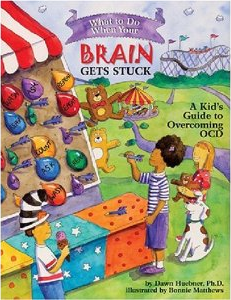 OCD is a disorder characterized by obsessions and/or compulsions (usually both). Obsessions and compulsions are recurrent. An essential feature of OCD is that obsessions or compulsions are bad enough (severe enough) to be time-consuming (at least 1 hour per day). A person with OCD does not lose touch with reality.